English to Korean Translation Services by Pangeanic – your key to great Korean Translations! For professional Korean translation services, you have come to the right place: Pangeanic Translations. We have selected professional translators to build a worldwide network of over 5,000 linguists and translation services to provide the highest-quality Korean translation services so your Korean translations read as if they had been written originally in Korean. Pangeanic is a world leader in language services fully certified to European Translation Standard ISO17100 and ISO 9001. This will ensure that all of your translation projects into Korean will be translated, checked and proofread for quality and accuracy by professionals to reflect your brand’s approach to the Korean market. With offices in Japan and China, Pangeanic Translations can offer you native Korean translation services in-house, too. In order to guarantee an accurate technical translation service, we recommend trusting our translation project management team to take care of your needs. Either our Premium translation service or our Standard translation service will help you obtain quality translations according to your budget. Working together with one of our specialists means that you will save time and money by setting up translation memories (databases) with your own terminology. This means that your company style will be carried forward time and time again – no matter what your product application or development is and you will never pay for the same or similar sentences again. Machine translation technology completes our value proposition, if the technology is appropriate to the project, we can turn hundred of thousands and million of words from English to Korean for e-Discovery or general purposes. Contact Pangeanic today for Korean translation services. 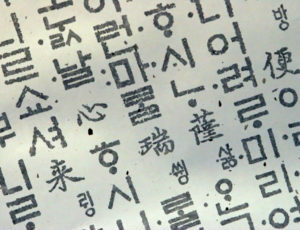 We will be glad to analyze your needs, website or documents and calculate a free Korean translation quote. These are some of the industries and business areas for which Pangeanic provides translation services. Our large network of expert and professional translators includes hundreds of Korean legal translators who are knowledgeable and have specific training in the legal system and specific terminology. Our legal Korean translation service does not stop there, though. Pangeanic can also offer a range of legal and litigation services including Korean document management, Korean document identification, Korean website crawling, Korean virtual data rooms, Korean court reporting, as well as Korean transcription services. Pangeanic is your right partner for Korean translations because of the record of our Korean translators working with all types of legal documents and proven experience of our translation processes. The areas in which we have produced legal Korean translations include patent applications, non-disclosure agreements, company merger and acquisition agreements, commercial contracts, marriage, birth and death certificates, wills, employment contracts, rent and hire agreements, general business documents, etc. Technology and manufacturing companies rely on Pangeanic to provide turnkey translation services to translate accurately and faithfully their original texts and documents into Korean. Pangeanic has been involved in technical translations in projects over months and years – even onsite turnkey projects for the automotive industry, tool machine suppliers, professional electronics, consumer electronics, chemistry, technical translation for power generation plants, etc. Our solid team of expert Korean translators, linguists includes hundreds of Korean translators with extensive experience working with very technical Korean subjects and specialist terminology. With Pangeanic, you are in safe hands as decades of translation project management experience will take care of your technical Korean translations needs to provide faultless, world-class Korean documentation translation and Korean desktop publishing to support your globalization efforts. Automotive translations and technical, marketing collateral texts for exhibitions, advertising and online campaigns are one of Pangeanic’s specialisms. 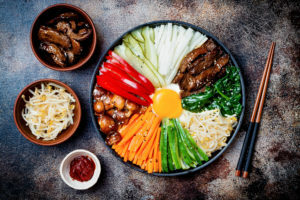 We can either adapt your content with Korean translations for global distribution or use your material and adapt it specifically for the Korean market, not offering a direct translation but a version that sells. Furthermore, we can add Korean desktop publishing, Korean translation for voiceovers and subtitling, Korean website translation, etc. We have offered professional language solutions to major players in the automotive market, as well as highly specialist tool machine manufacturers. Our solutions encompassed technical personnel resident at plants during technical training sessions, motorbike/truck/car owner’s manuals, shop manuals, glossary compilation, press releases, market research translation and video training materials. Through our dedicated, European Translation Standard EN15038 and ISO 9001-certified Life Sciences and Medical Translations Division, Pangeanic is your choice for professional translation services for medical translations, medical devices documentation, approval documents, clinical trials translation services. We help pharmaceutical, life sciences and healthcare companies reach global markets. Hundreds of Pangeanic-certified Korean linguists with scientific and medical specialization, service all types of life science enterprises. All of our expert Medical Korean translators have experience working with Korean clinical trial questionnaires, Korean CRFs and Korean IFUs, Korean informed consents, as well as Korean package inserts and labels, Korean patient surveys, insurance forms, Korean product catalogs, datasheets, protocols, and many more. Pangeanic offers a full, professional website translation service and localization service: website translation and localization make your content available to millions of potential users and clients worldwide. If you need constant web updates to your eCommerce site or website, Pangeanic’s technology will monitor your new texts, extract and offer you instant Korean translation, even take care of your publication needs with a service level agreement so you can concentrate on your business and not in translation management! The efficiency of correctly translated business news is relevant for any business, as all companies must send and receive reliable information in different languages. This is why a trustworthy translation service is essential. As a result of globalization, both large and small companies are required to communicate with their customers and business partners in different languages. For instance, while offering their products, describing their services, making announcements in other languages and outlining their advances and publications. The web is a huge market where a good channel of communication and Korean translations greatly amplify your geographical area of operation by making your content available in a country with a high purchasing power. Pangeanic’s sales staff is standing by to receive your request for a free quote on all of our Korean services. Find out why Pangeanic Translations holds the reputation as one of the best translation companies for providing the most reliable and dedicated client service.